Such a summery dish. Courgettes are so versatile and work really well with the salty feta. The chilli gives a welcome kick. Heat a large saucepan with a drizzle of olive oil and fry the halloumi slices until golden brown. Set aside to cool slightly. 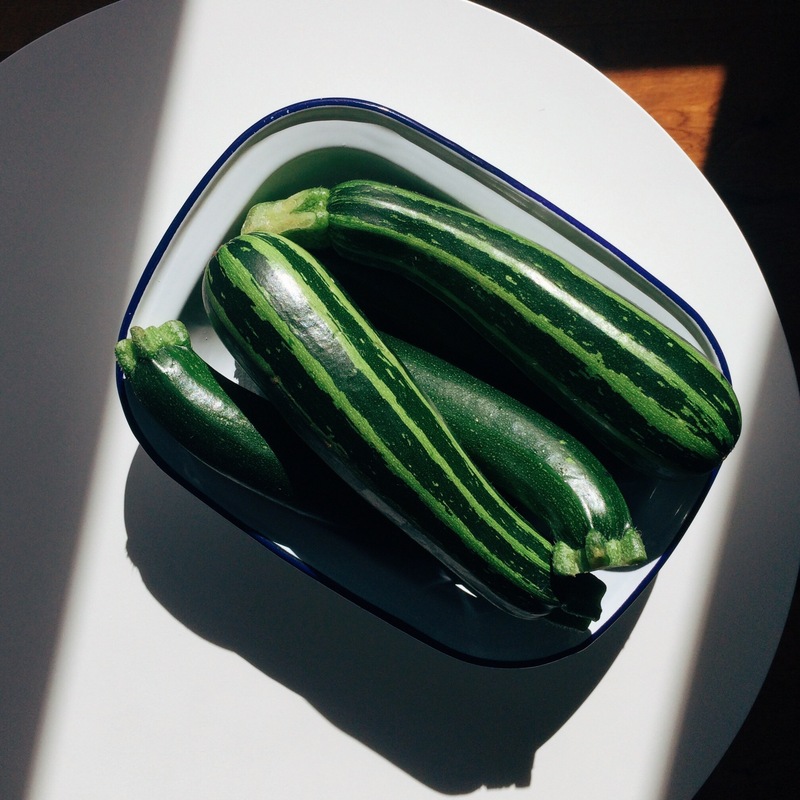 Shave the courgettes into ribbons with a potato peeler or mandolin. Place in a large bowl and add the drained and rinsed chickpeas, herbs, chilli and lemon zest. In a separate bowl mix together the white wine vinegar with some olive oil and seasoning. 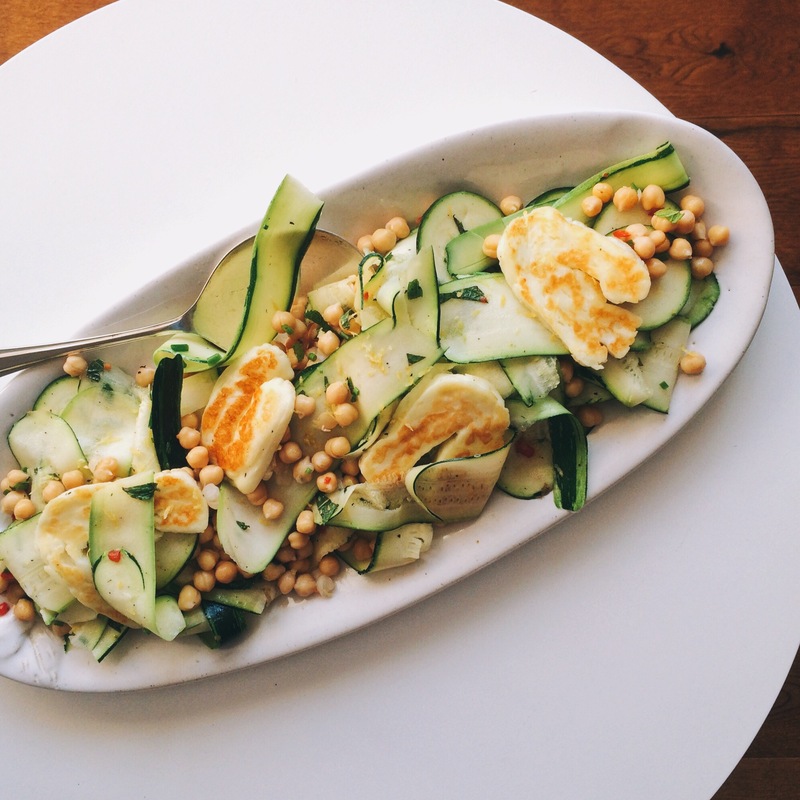 Combine with the courgettes and arrange on a serving dish with the cooled slices of halloumi. Enjoy!